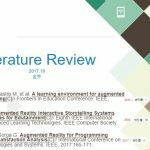 This long paper is submitted to the 2019 ACM Interaction Design and Children Conference (IDC 2019). Here is the abstract. 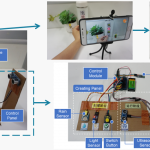 Teaching children programming using tools based on Tangible User Interface (TUI) is an effective way to foster children’s computational thinking ability. 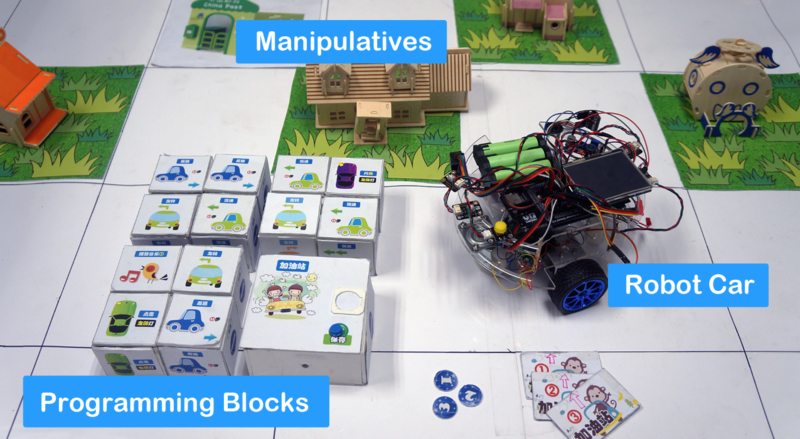 MazeRobot is a tangible programming system designed for children of grades 1-3 with tangible input and output. Our system consists of three parts: a robot car, programming blocks and a map with some manipulatives. 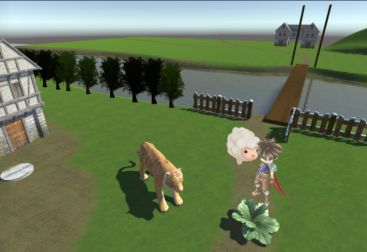 With our system, children can program the robot car with programming blocks to complete complex maze tasks on the map. In order to reduce the difficulty of programming and at the same time help children developing problem-solving skills, our system allows children to decompose the complex task and arrange programming blocks to construct program fragments separately to complete the subtasks one by one. Our system also provides adequate audio and visual real-time feedback to make children program easily. 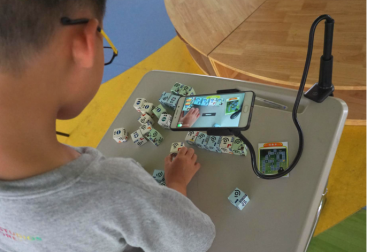 A lab-based user study with 12 children was conducted, and the results showed that MazeRobot was interesting for children and easy to learn and use. 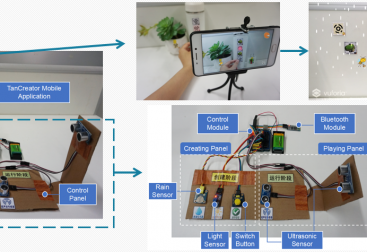 Furthermore, MazeRobot’s visual feedback can effectively help children learn programming.